Dates and venue: 15 - 17 May, 2019 , Uzexpocentre, Tashkent, Uzbekistan. From 15-17 May the international OGU Conference will take place at International Hotel. 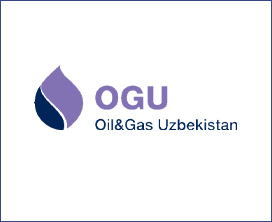 OGU is the best attended event in Uzbekistan’s oil and gas sector, taking place with official support from the Cabinet of Ministers of the Republic of Uzbekistan and JSC Uzbekneftegaz. The event offers a high-level business platform for presenting the latest achievements and developments for international oil and gas companies, and is the central meeting place to network with suppliers and producers.